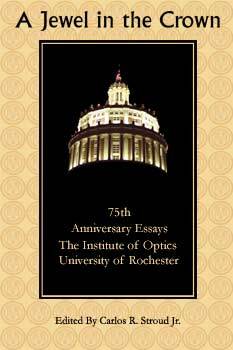 A 411-page compilation of 75 essays collected and edited by Carlos Stroud chronicles the remarkable history of the Institute of Optics of the University of Rochester. The book includes 12 essays by Hilda Kingslake as well as contributions from 48 other authors who lived and often made the history. It includes almost 200 photographs. Printed copies of the book may be obtained (so long as supplies last) by submitting a request to the Institute.